The virtuoso enjoyed practicing the violin for seven hours a day, which helped increase his incredible talent. His expert and flawless performances, clearly of the level of a virtuoso, were simply awe-inspiring. To be in the presence of such a virtuoso, whose playing reminded me of such musical geniuses as Bach and Liszt, was truly uplifting. Quiz: Try again! 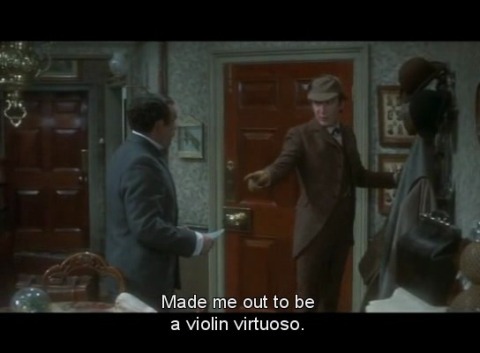 What is a virtuoso? Someone who is first-rate and outstanding at what she does. Someone who likes to share his ideas with others. Someone who puts forth much effort. Virtue So Good Tomas is a virtuoso in two ways: he is not only so good at playing the piano, but he also possesses excellent character virtue. A virtuoso is one who has the “nature of an excellent character,” in this case, possessing “excellence” in a technical skill. Sherlock Holmes Watson has made Sherlock out to be a virtuoso in the public eye.